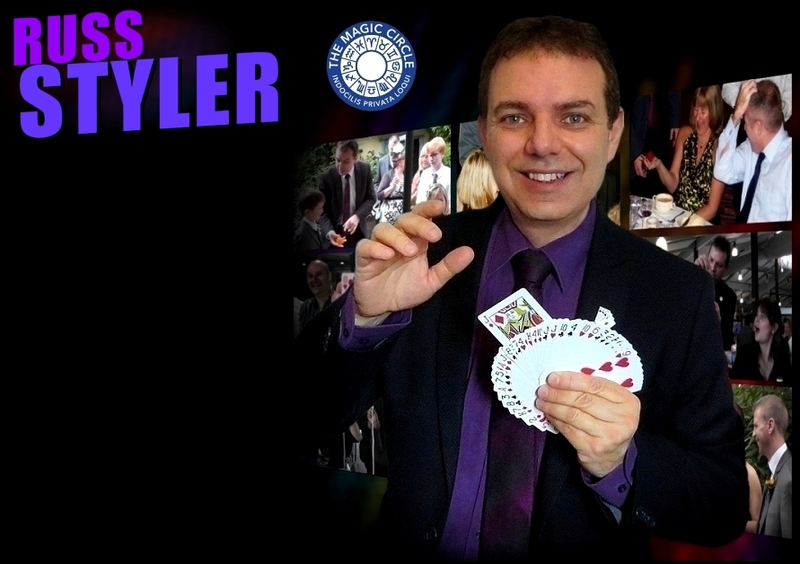 Russ Styler's combination of amazing sleight-of-hand magic and humour have certainly been key factors that have made Russ a most popular magician for corporate events, weddings, promotions, adult birthdays, student and summer balls etc in Telford, the Shropshire area and all over the UK. As a highly experienced professional magician, Russ has performed at countless hotels and venues including manor houses, golf and rugby clubs, restaurants, town and village halls, bars, private residences - you name it! Russ works UK wide and has worked summer seasons as close up and cabaret magician in the UK and Scandinavia. Russ is a member of the Magic Circle, The International Brotherhood of magicians and Equity and has full public liability insurance. As a highly experienced professional magician, Russ has performed at countless hotels and venues including manor houses, golf and rugby clubs, restaurants, town and village halls, bars, private residences - you name it! 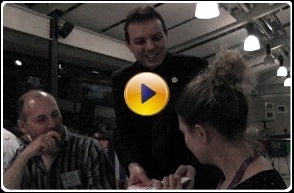 Russ works UK wide and has worked summer seasons as close up and cabaret magician in the UK and abroad. Contact now for information / availability and maybe Russ will be bringing his magic to amaze and entertain the guests at your event in Telford soon! 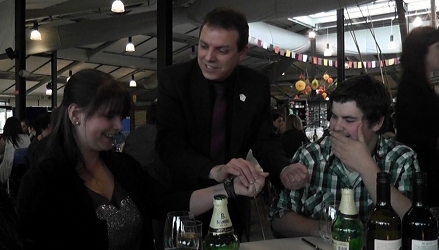 Professional show or close up magician / table magician Telford, Shropshire. Including Shifnal, Bridgnorth. 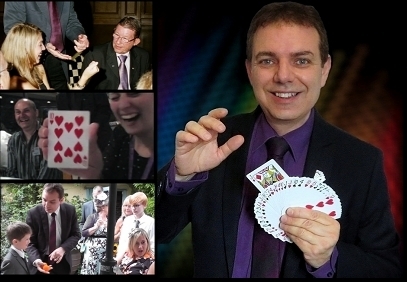 Magician for Corporate events weddings and all private parties. Great entertainment for any occasion, anywhere, near or far!